What's on Netflix > Netflix News > When will Season 5 of Bates Motel be on Netflix? When will Season 5 of Bates Motel be on Netflix? When will season 5 of Bates Motel be streaming on Netflix? The fifth and final season is coming to Netflix around the world over the next 6 months to a year and we’re going to be giving you a rough release schedule below. We’ll also talk about the show for a bit and whether or not it’ll be removed from Netflix because the show’s finished. The A&E series that depicted the prequel events before the events of the movie Psycho thrilled audiences for five seasons before coming to an amicable close. A&E has been known to let series go dramatically and without closure so it’s nice to see them complete the show. Season 5 was the most dramatic season yet with everything falling into place before the events of the film many years later. The show has resided on Netflix across many regions for multiple years with many regions getting yearly updates slightly before the new season arrives. In total, there are fifty episodes for the series and Netflix currently holds forty across four seasons. Bates Motel on Netflix follows a more traditional release schedule where it gets new seasons added shortly before the new season would begin airing. After all, if you’ve just caught up and it’s fresh in your mind the chances are you’re going to want to continue the story. When will Bates Motel Season 5 be on Netflix? In the United States, past seasons have always come to Netflix in January so we suspect at the very latest, we’ll see it added in January 2018. However, given the show is cancelled it may be the case that Netflix picks it up even earlier given it no longer serves as a promotion. October to December 2017 fits in this timeline but it’s not confirmed. In the United Kingdom, sadly you may be waiting a little bit longer. The previous seasons have been added in April with the most recent season arriving on the 7th April 2017. That means you can expect a release date of April 2018 or if our theory above is correct, even sooner. Netflix in Australia only got the first three seasons in March this year so you can expect seasons 4 & 5 to be added in March 2018. 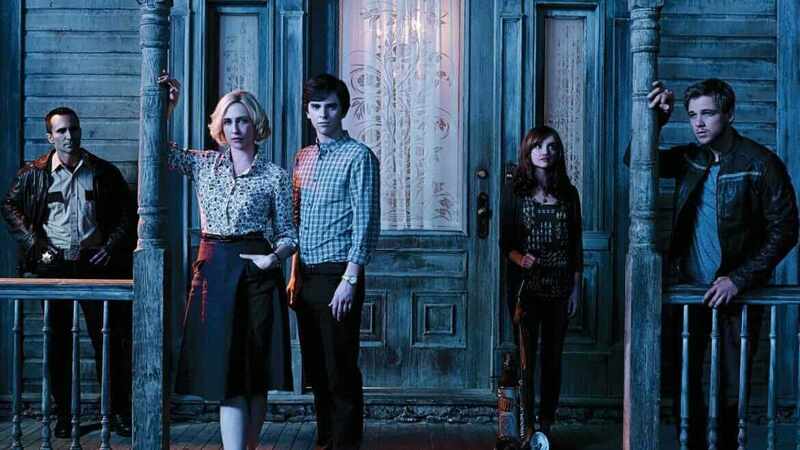 Are you looking forward to season 5 of Bates Motel coming to Netflix? Let us know in the comments below. Previous story Is ‘Blade Runner’ 1982 on Netflix?